More than 350 delegates from around Australia gathered at Sea World Resort on the Gold Coast last week for the annual Pharmacy Assistant National Conference (PA2018). The conference commenced on Thursday with a pre-conference workshop and QCPP Refresher Training. The ever-popular Welcome Reception on Thursday night provided an official opening and the first look at the 30 + stand trade exhibition. Open throughout the conference, the buzzing trade exhibition provided the opportunity to sample new products and learn practical tips and tricks to apply back in their pharmacies. 2017 Pharmacy Assistant of the Year, Stephanie Lynch set the tone for the conference in her opening address, encouraging pharmacy assistants to recognise and claim the important contribution they make to community pharmacy every day. Kos Sclavos also highlighted the vital role of pharmacy assistants in his Industry Update session, outlining the role that pharmacy assistants will play in implementing programs now and in the future. Delegates were treated to over 15 clinical and motivational sessions throughout the two day conference. Program highlights included the Campbell sisters who inspired delegates with the highs and lows of their respective swimming careers; the Instigo team and Pharmacy Owner Loretta Musumeci who outlined how pharmacy assistants can become more involved in professional services; and shark attack survivor Paul de Gelder’s inspiring story of how to improvise, adapt and overcome. Customer experience was also a hot topic of the conference, with Customer Experience Expert Amanda Stevens outlining how experience and influence are driving consumer behaviour, and Retail Manager Leigh Medcalf showing how her pharmacy uses community engagement as a part of their customer experience strategy. The fun continued at the 90’s themed conference dinner on Friday night, where Alice Vanderpol from Moama Village Pharmacy in New South Wales was named the 2018 Pharmacy Guild of Australia/Maxigesic Pharmacy Assistant of the Year. 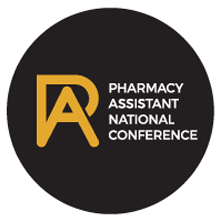 Mark your diaries for PA2019, which will be held from 11-13 October at Sofitel Brisbane. Are you ready? Only 3 weeks left! Find out more Are you ready? Only 3 weeks left!